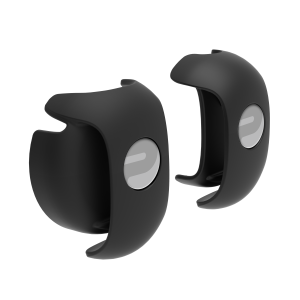 To measure heart rate accurately, you need to wear the OH1 snugly on your forearm or upper arm, not on your wrist. Place the sensor into the armband holder with the lens facing up. Wear the armband so that the sensor is on the underside of the armband firmly against your skin. Wear the OH1 around your forearm or upper arm. The sensor must be in firm skin contact, but not too tight to prevent blood flow. For most accurate heart rate measurement, we advise you to wear your OH1 for a few minutes prior to starting the heart rate measurement. 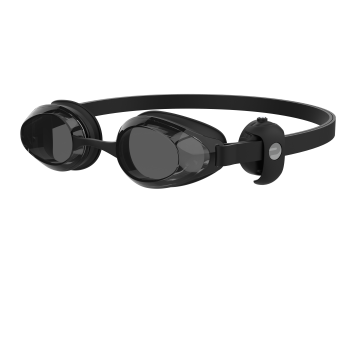 OH1 + package includes two swimming goggle strap holders you can use while swimming. Try both to see which one fits your swimming goggles better and keeps the sensor securely in place on your temple. Put the sensor inside the holder with the leds facing your skin and the button facing up. Push the holder as far as it goes so that it sits snugly on the strap. Wear the sensor on your left temple if you breathe in from your left side when swimming freestyle, and vice-versa if you breathe in from your right side. The sensor must constantly touch the skin of your temple.